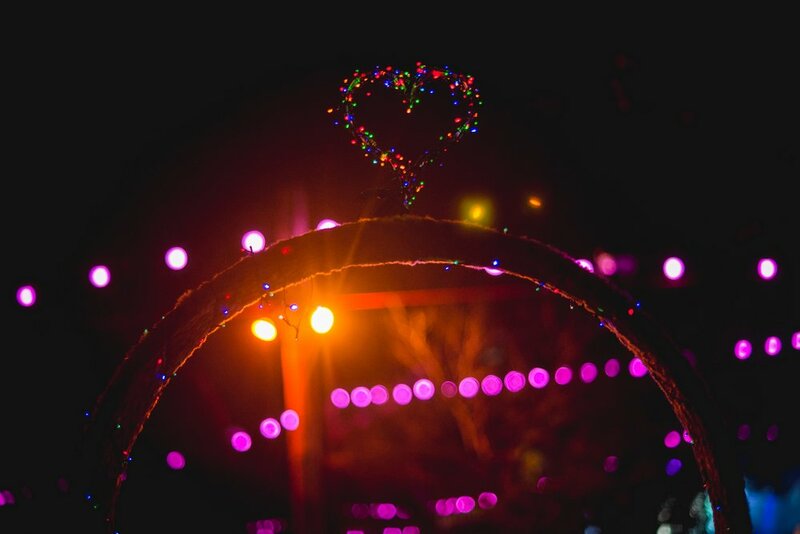 This Supernatural tradition was borne circa 1997, and came to be known as The Arch Of Love. The Arch is about seven feet tall, made of cane, and wide enough for only one person to walk through at a time. It was probably made to be a garden arch, or arbour. It appeared in the middle of a footpath through the Amphitheatre during the ’96 or ’97 Meredith, nobody really knows why. To the quiet amusement of patrons nearby, people had to choose either to walk through it, or walk around it, as it was slap bang in the middle of a busy footpath. It turned up the next year, but with new decorations – a tangle of plastic vines and pink flowers were threaded through the cane. It has been there every year since, in the same place, in different costume. One year it was present in a tailored leopard skin suit. The Arch has nothing to do with the organisers; it is brought along by a private citizen, and it has become an institution at Meredith and Golden Plains. A tradition sprung up that if two people walked under it they had to kiss. The Raccoon spent one afternoon in the early 2000s doing some social studies; the trend was that more people wearing pants would go through it than people wearing non-pants, though this seems to have evened up in recent years. 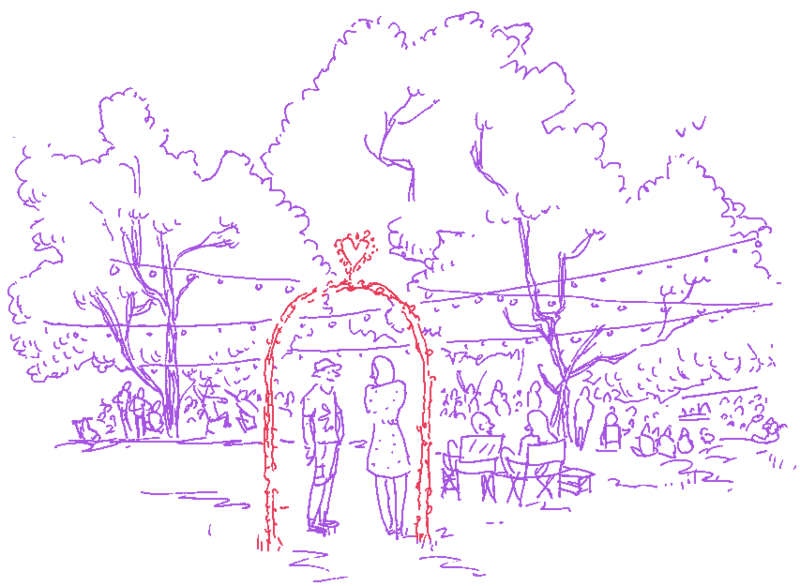 There have been at least two weddings take place at The Arch over the years that we are aware of, and at least one more marriage proposal. Thankyou very much to whoever The Archkeeper is. We did spy him one year taking The Arch out of the boot of his nondescript 80s white Japanese hatchback.